Looking for Château Bauduc wine? Within a week of the Budget we’re usually wincing at the new, higher rates of duty being charged on our wine as it leaves our Bonded warehouse near London to be delivered to customers. With just one exception in the last 15 years (in 2015, just before, ahem, the 2015 General Election), duty on wine has always gone up. So it’s a welcome relief that Philip Hammond decided to freeze the duty on wine in his Autumn Budget. Here are some insights and graphics as to why wine drinkers in the UK have been hit hard enough already. 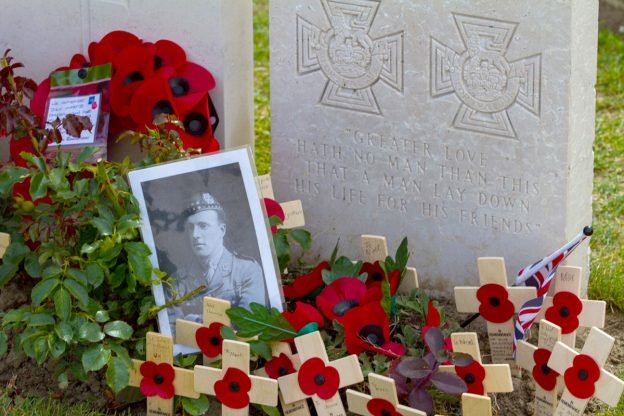 Centenary commemoration for Captain Noel Chavasse, double VC – Part Six. The ceremony. 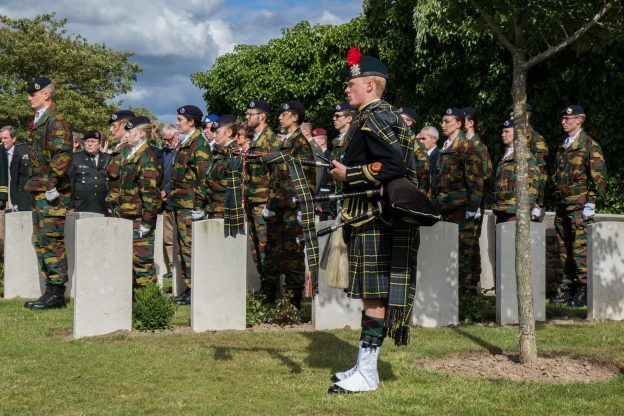 The service and the ceremony to commemorate the centenary of Noel’s death was held on 4 August at the Chapel of Brandhoek, and afterwards at Noel’s grave in the cemetery nearby. 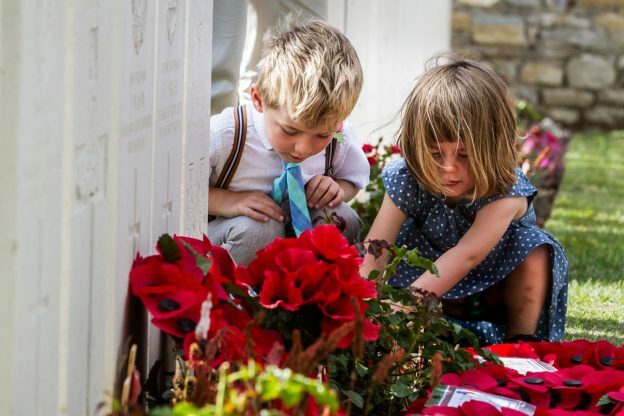 It was beautifully arranged by the Friends of the Flanders Field Museum, the City of Ypres and the Belgian authorities. The British Ambassador to the Kingdom of Belgium paid tribute to Noel and laid one of the many wreaths. 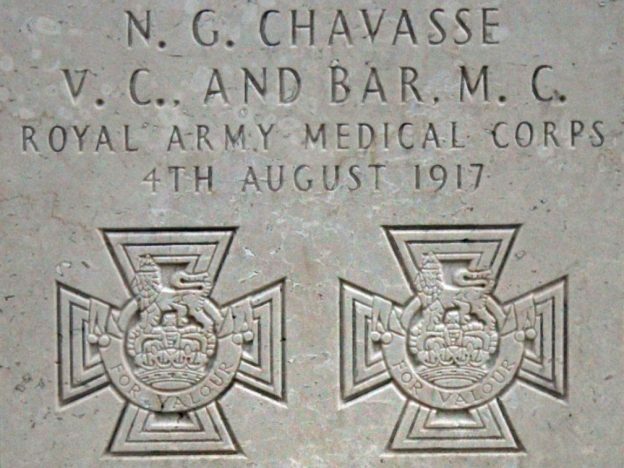 Centenary commemoration for Captain Noel Chavasse, double VC – Part Five. Epilogue. In this piece, I wanted to mention what happened to Noel’s loved ones who survived the war. As we have seen, Noel and his brothers’ journey through the war is extraordinary. The four of them were in the army from the start and survived unscathed for almost three years until July 1917. Then, in the space of a few weeks, Noel was killed winning a second Victoria Cross at Passchendaele, brother Aidan was wounded and missing close by (and, tragically, never seen again), their brother Bernard, a doctor like Noel, was wounded and awarded the Military Cross just a few miles away, and Noel’s twin brother Christopher, a padre, was awarded a Military Cross for his actions earlier near the Somme. All three medals, like Noel’s first VC and MC before that, were for saving wounded men under fire. Thank you to everyone who has taken the trouble to email in reply to my posts about Noel Chavasse; we’ve had scores of messages and some fascinating stories and connections. I’ve reproduced, with their permission, one of these brief but extraordinary email dialogues below. In case you missed the posts, Noel was a doctor and the only man to be awarded the Victoria Cross twice in WW1, for saving the wounded. He was my first cousin (twice removed). 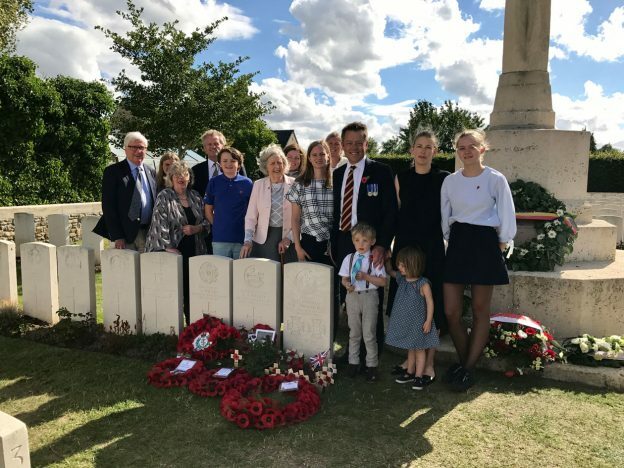 Centenary commemoration for Captain Noel Chavasse, double VC – Part Four. Passchendaele. We have just returned from a fascinating few days in Ypres and last Friday’s moving ceremony to remember Noel on the 100th anniversary of his death. There has been a tremendous amount of coverage about the Battle of Passchendaele, and Noel’s extraordinary achievement of winning his second Victoria Cross has also featured quite prominently: there’s a detailed tribute, for example, to ’the First World War’s bravest soldier’ by Lord Ashcroft in The Sunday Times Magazine (the online version is behind a paywall but you can read it here free for up to a week) and the Royal Mint have announced that there will be a five pound coin bearing a picture of Noel. Even so, I wanted to complete these (very long) posts of Noel’s actions from a family perspective. Noel’s Liverpool Scottish regiment, to which he was attached as a doctor from the Royal Army Medical Corps, wasn’t involved until the end of July. 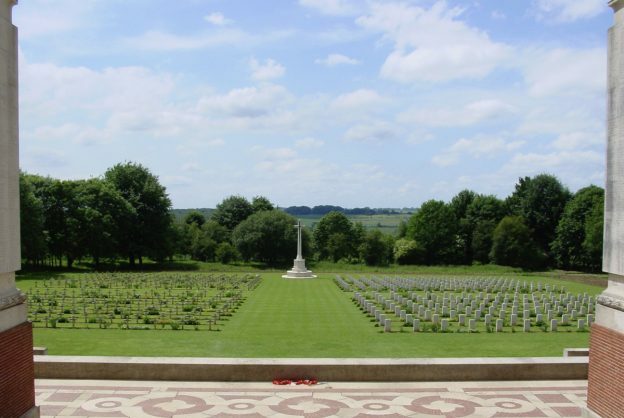 Sadly, following on from (my great uncle) Arthur’s death in March, news came through that another of his cousins had been lost: 2nd Lieutenant Louis Maude, Noel’s first cousin on his mother’s side, had been missing and then reported killed on that first day of the battle. 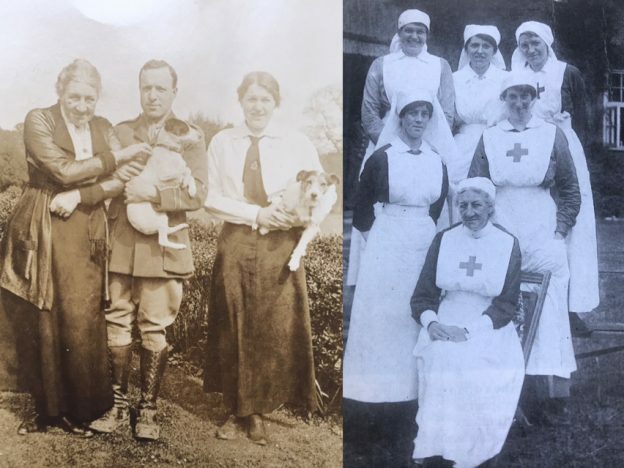 This is the second part of my blog about Captain Noel Chavasse, the only serviceman to have won two Victoria Crosses during the First World War – and, as a doctor, he never fired a shot. In between his heroic actions at the Battle of Hooge in June 1915 that earned him a Military Cross (see Part One) and his extraordinary bravery and a subsequent VC at the Battle of the Somme in the summer of 1916, Noel was promoted to Captain and, far more importantly for him, he got engaged. We are on our way to Ypres for a ceremony to remember cousin Noel, 100 years after his death on 4 August 1917. I mentioned the Centenary of the start of the Battle of Passchedaele in the July review newsletter, which we sent to everyone on our email list on 31 July, and that the medals of Captain Noel Chavasse VC and Bar, MC have just gone on display at the Museum of Liverpool until 5 January. The collection will then be returned to the Imperial War Museum in London. 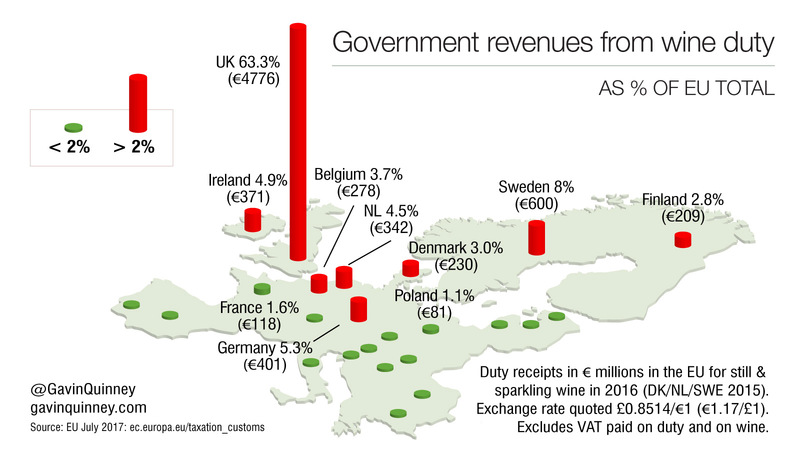 UK duty on wine went up by 10p a bottle to £2.60 (£2.16 plus Vat) in the Budget this month. You’d be forgiven for not picking up on that, as it’s customary for the Chancellor of the day to confuse the media with a short burst of twaddle. “I will make no changes to previously planned upratings of duties on alcohol” is what he said. What he meant was that all alcohol duties were to increase by the chunky rate of inflation (RPI) of 3.9%. We make wine at Chateau Bauduc for Rick Stein, Gordon Ramsay, Hotel du Vin and hundreds of private customers in the UK. Distribution elsewhere is via a few deranged wine merchants. As well as stuff about Bauduc, you’ll find the Bordeaux vintage reports I write for JancisRobinson.com, Liv-ex and Harpers, and other musings.